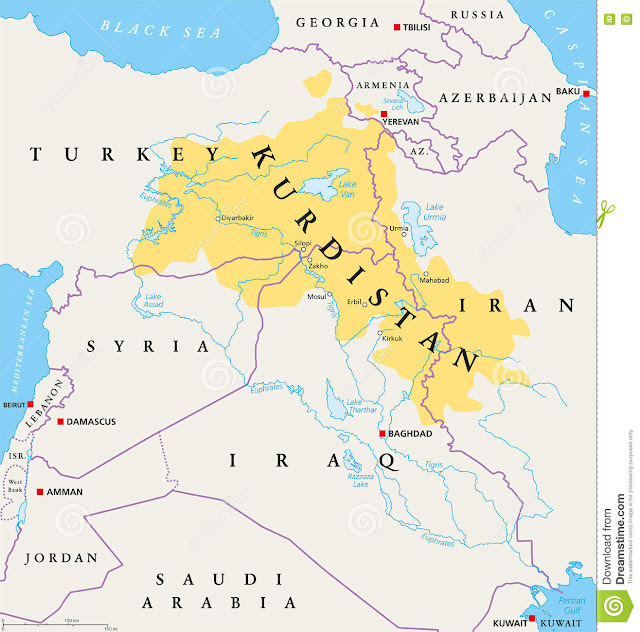 Like Crimea in Ukraine, Kurdistan decided last minute to hold referendum vote about leaving the country and government of Iraq and become a sovereign territory. Unlike Crimea, the Kurds have no greater national sponsor like Russia backing them. 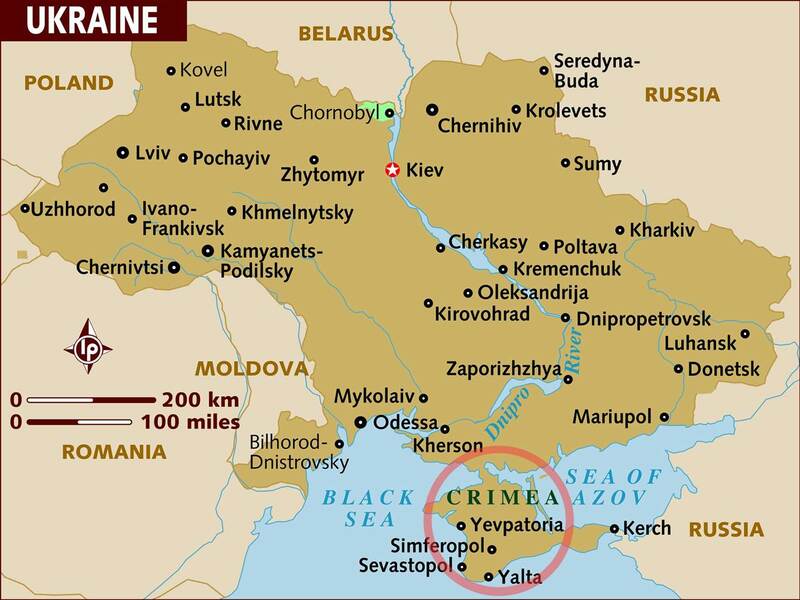 Israel cannot openly annex them because there is no boarder relationship which there is a little bit with Crimea. Kurdistan represents 12% of Iraq's total oil supply which will increase in future years on par with Iran. What's interesting is Kurdistan's capital is Ebril and right next to Mosul, which we know as the ISIS stronghold recently defeated. But Ebril is landlocked between Iran, Syria, Iraq and Turkey. They can't get their 500,000 plus daily barrels of crude to market without an access route to a sea port. And Iran, Turkey, Syria and Iraq are all shutting down their boarders, unwilling to recognize Kurdistan's sovereignty because it affects theirs. Israel and Kurdistan go back centuries as partners. And Israel has been skimming profits off of Kurdistan oil for decades, in essence stealing from the government and people of Iraq. Making the sudden last second referendum an Israel induced move by challenging Iraq's sovereign territory. To show you how desperate Israel is at this moment in history, the entire UN General Assembly came out against the Kurdistan referendum this week. Meaning the entire rest of the world's sovereign nations is in opposition to Israel/Kurdistan. And yet they still proceed. The Zionist dream of Israeli being the cabal's vibrational diplomatic headquarters on the 33rd parallel north is dead, and we're are all barring witness to its merciful collapse. Today Iraq's Prime Minister Abadi will speak at the UN's afternoon session roughly around 8pm EDT. It is expected that he will announce Iraq as a whole and sovereign nation again after a decade plus of war. And yes Dinarland, the international implementation of global financial reforms including the revaluation of their national currency the dinar (IQD). This will ease a lot of pain in the currency community, who have lived and died all things Iraq religiously. I'm happy for all of you. It took a lot to get to this day and you should be acknowledged for your relentlessness. Enjoy. As for Dongville & Zimlandia, the ZIM screen rate hit as high as $3.68 on Friday. VND $24.72 respectively. Which in of itself is historic given we expect the RV tonight sometime after midnight on Sunday. Congratulations on making it here ZIM & VND holders. You too have endured much to still be standing on this historic day. All the back patting and high fives aside, post RV is where the needle will be at next week. And Human Angel Services (HAS) was created for this moment. To service the service workers moving out of a pre RV reality into a post RV world of humanitarian works and deeds. At midnight tonight the HAS website is expected to launch a free preview week before the official subscription launch on next Sunday October 1, 2017. Access to project funding, volunteerism, archives, daily philanthropic magazine, chat rooms and a sophisticated compliance mechanism awaits this entire currency community. There will be a basic complimentary aspect to the site including 800# Tetelestai service and on line magazine as well as a premium subscription opportunity to participate in a more advanced project fashion. Showme is tired but grinding out the details for opening night. We are excited to show you our vision of the future of the currency community as a digital, daily "Top Down Philanthropy" hub. Hopefully you'll see the value, and join us as a Founder, Cornerstone or Benevolent subscriber. If not, it's been a memorable ride. Like you, we are grateful the pre RV period is ending, yet a little scared at the same time as our wings now fully open as Human Angels, and we never get to play small or irreverent ever again. Big changes coming hard and fast for us all to be sure. Sobeit.